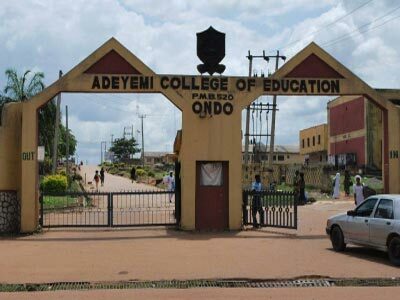 Adeyemi College of Education, Ondo, ACEONDO direct entry admission list (first batch) for the 2018/2019 academic session. This is to inform all the candidates that applied for admission into the Adeyemi College of Education, Ondo (ACEONDO) 2018/2019 academic session DEGREE programmes through Direct Entry (DE) mode that they can now check their admission status online. Adeyemi College of Education direct entry admission list contains the names of candidates offered provisional admission into the college various degree programmes. Check Adeyemi College of Education Direct Entry Admission List. Go to https://aceondo.edu.ng/viewnews.php?view=23 to access Adeyemi College of Education Direct Entry 1st batch admission list. Congratulations to all the candidates that made it to Adeyemi College of Education direct entry admission list.